"The One Became Better - HTC One (M8)"
HTC One M8 features impressive tech and awesome entertainment, packed into a premium aluminium design. 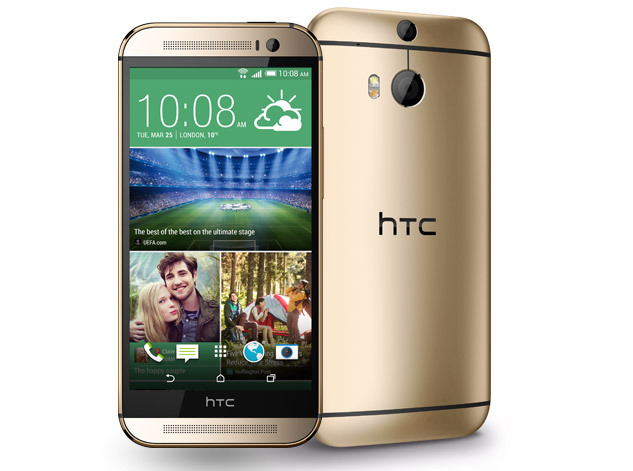 With ground-breaking dual rear cameras, improved BoomSound audio technology and effortless Motion Launch control, the HTC One M8 delivers a smartphone experience to be envied. Bad news. 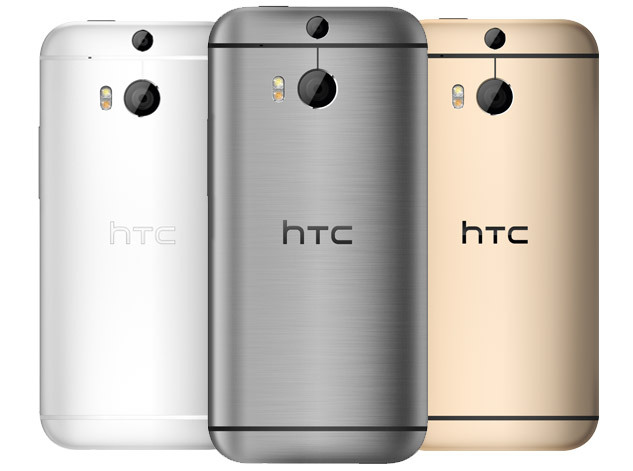 We no longer range the HTC One (M8). 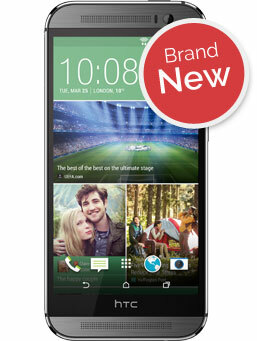 Don't worry, we have a huge range of HTC phones at prices you'll love. What an amazing smartphone release the M8 is! From it's sleek exterior design, to the dual camera on the back we're certainly excited about this Android release. A first peek at the HTC One M8, watch the video to see the features in action. How will the new HTC release compare against Sony's Z2? All the specs, features and prices reviewed. Read more. HTC One M8 price set to cost more. Here's why it's worth the money. With better specs than 2013's HTC One, the M8 is bound to be more expensive. Our price evaluation justifies the extra cost. Read more. HTC One M8 screen size set to be 5 inches and Full HD resolution. Bigger screen? Higher resolution? Edge to edge display? The new HTC flagship screen specs will display new boundaries. Coming soon. Crafted from premium aluminium, the HTC One (M8) features soft curves and sleek lines which fit perfectly into the palm of your hand. Not only is it incredible to look at, it feels awesome to hold. 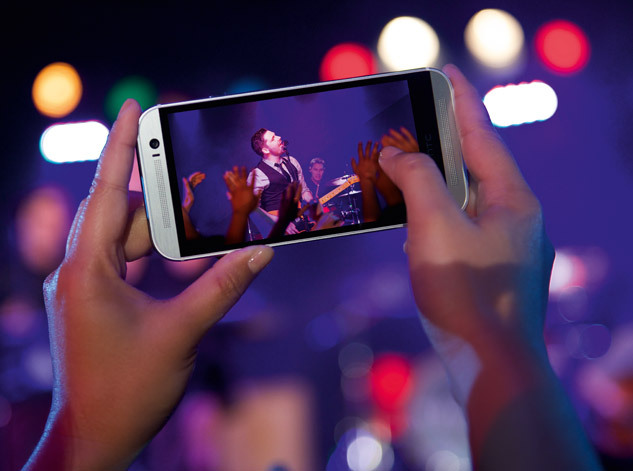 Content really comes to life on the stunning 5 inch Full HD display, making the HTC One (M8) the perfect platform for watching streamed movies. It's also equipped with Corning Gorilla Glass 3 to help protect your phone from life's little mistakes. 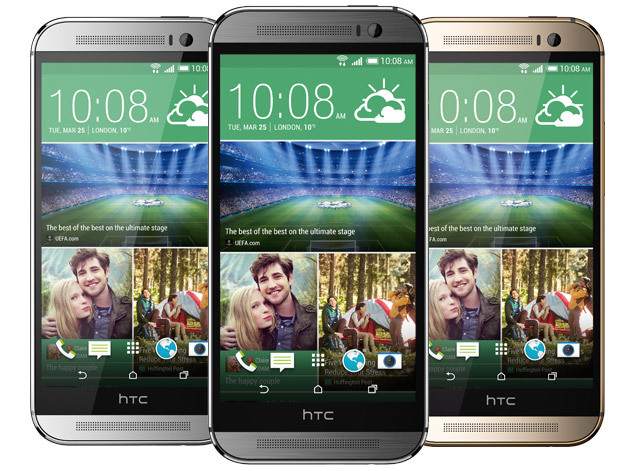 Not only does the HTC One (M8) arrive with an improved 4 megapixel UltraPixel camera, it utilises a second rear lens to give photographs an increased depth, making your memories look more defined and lifelike. Along with this is an incredible 5 megapixel front facing camera designed for lovers of selfies. A wide angle lens and beneficial self-timer means group shots are flawless. New Motion Launch makes navigation on the HTC One (M8) incredibly easy. Simply lift the handset to your ear to answer a call or double tap on the screen to check information such as time, weather and reminders. Voice control allows you to dial friends without even picking up the phone. The updated version of Sense for the HTC One (M8) offers a greater user experience due to the improved efficiencies of Android KitKat. HTC BlinkFeed features again but slight tweaks in design will make it even friendlier to operate. Whether you're streaming 4G content on the Chrome browser or selecting a track to play on the BoomSound speakers, Sense will ensure a smooth experience on the latest HTC smartphone. An upgrade to the Snapdragon quad-core processor will allow the HTC smartphone to multitask effortlessly across a range of software features and apps.